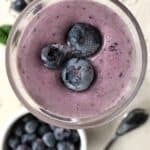 High Fiber Smoothie Recipes: With blueberries, spinach, and banana, this Superfood Smoothie is a nutrient powerhouse that is a simple and delicious way to get a high fiber meal into your families diet. * This post contains affiliate links. If you were to make a purchase using these links, it does not cost you more, but I would receive a small commission. Did you know that 50% of children do not get adequate fiber in their diets? 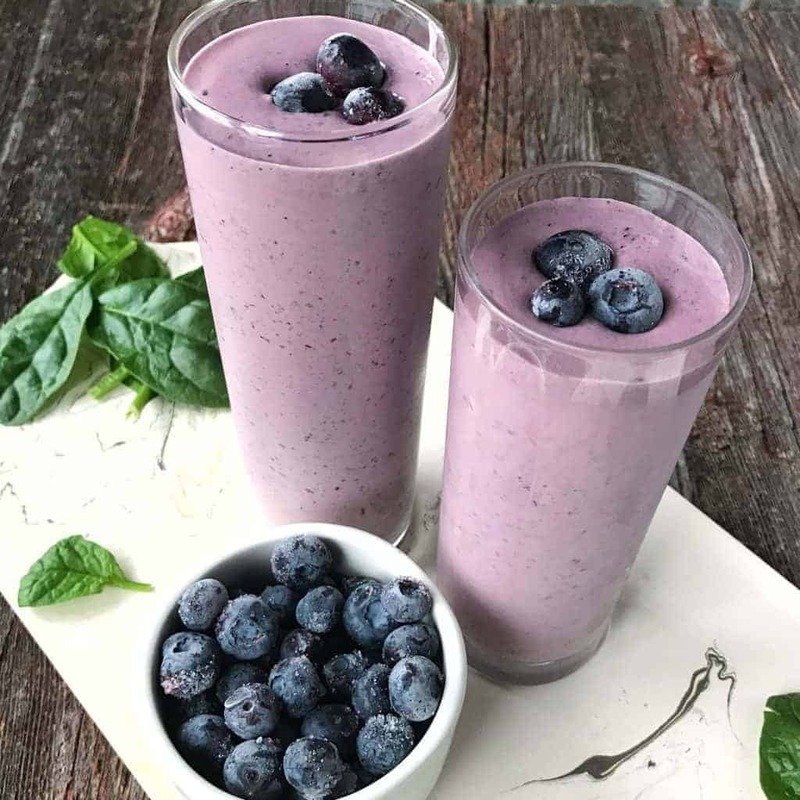 An easy way to get more fiber into your diet is with smoothies. The following recipe is a delicious fiber-filled breakfast choice. 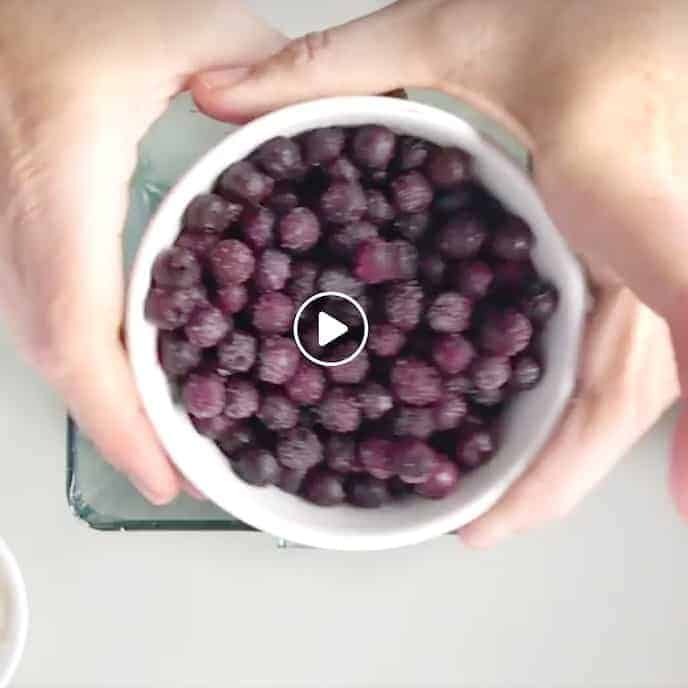 Check out how simple this high fiber blueberry smoothie is to make at home! 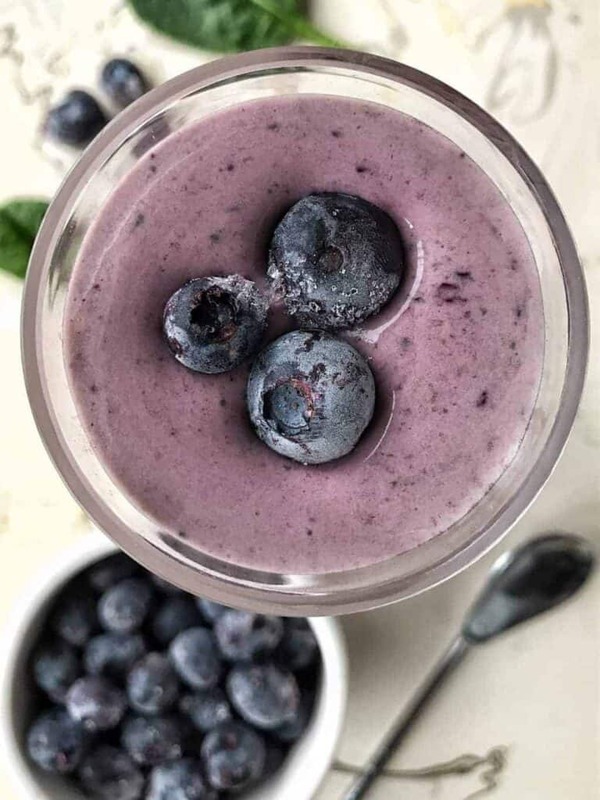 Start by adding frozen or fresh blueberries to your blender. Pro Tip: Using frozen fruit in smoothies helps with texture and taste because you don’t need to add ice. Add 1 frozen banana to the blender. Pro Tip: When you have bananas turning brown on your counter, don’t throw them out. Peel them and put them in a ziplock bag. Overripe bananas have the perfect sweetness for smoothies and baked goods! 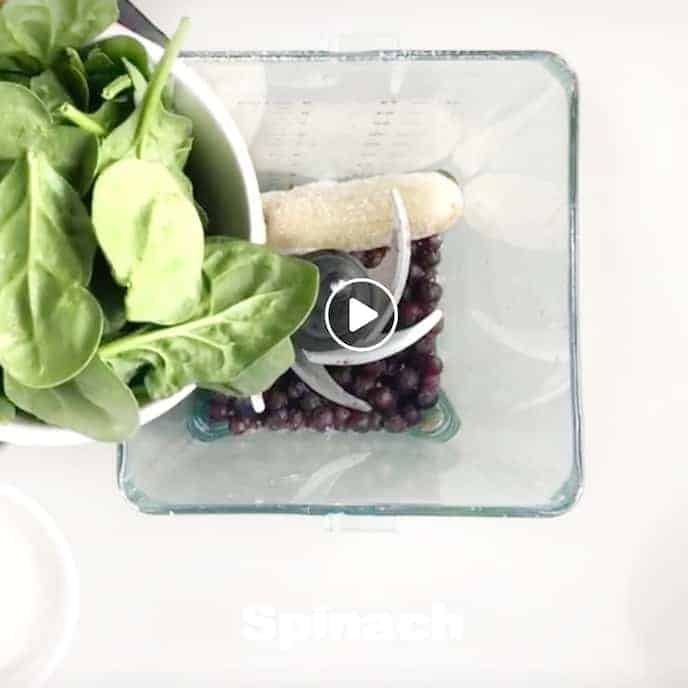 Add spinach to blender with blueberries and banana. You can use fresh or frozen spinach. Pro Tip: When you have spinach that needs to be used in your fridge, add it to individual sized ziplock bags, squeeze the air out, and freeze. Frozen spinach works great in smoothies. The key to adding greens to smoothies is to use a high-speed blender. It really helps get all those greens chopped. I love my Ninja Blender (you can find it here) because it was a fraction of the cost of a Vitamix, and it works just as well for my needs. When I make my favorite brownie recipe, the Ninja melts the chocolate chips perfectly. 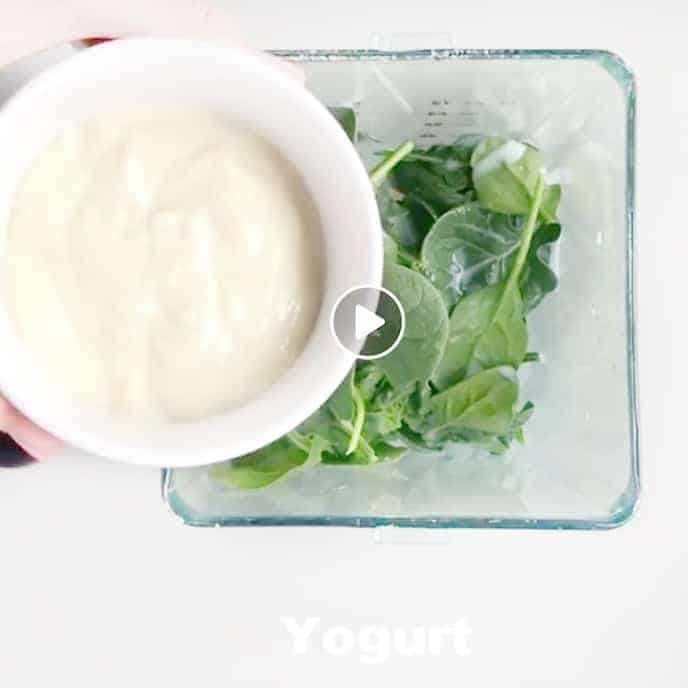 Add yogurt to the blender. For added sweetness, use vanilla yogurt, for less sweetness use plain Greek yogurt. 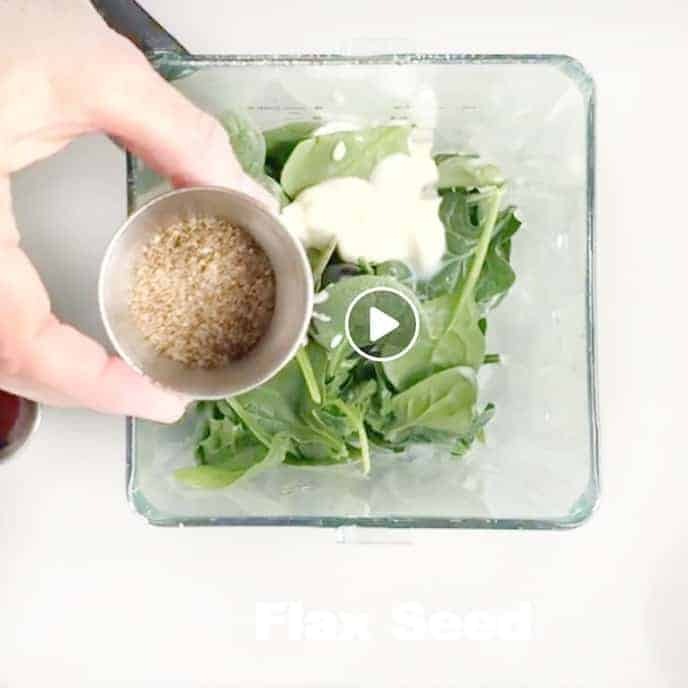 Add ground flax seed. You could swap the flax for wheat germ or chia seeds. 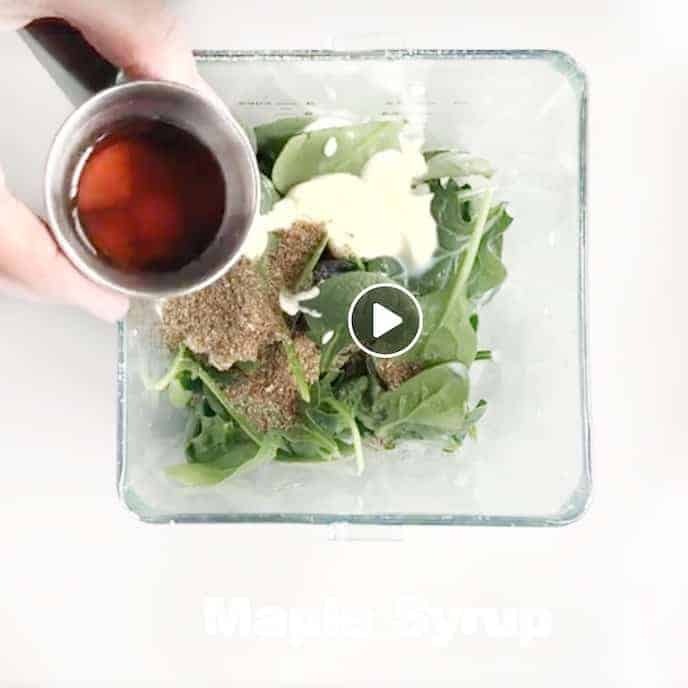 Add maple syrup to the blender. If using vanilla yogurt, you can skip the syrup. If you don’t have maple syrup try honey. Each serving contains just over 5 grams of fiber along with 2 servings of fruit and a veggie serving. This high fiber recipe is a keeper! If you liked this recipe make sure to leave a star rating below! Make sure to follow Create Kids Club on Facebook and Pinterest. A high fiber meal that is packed with superfoods. 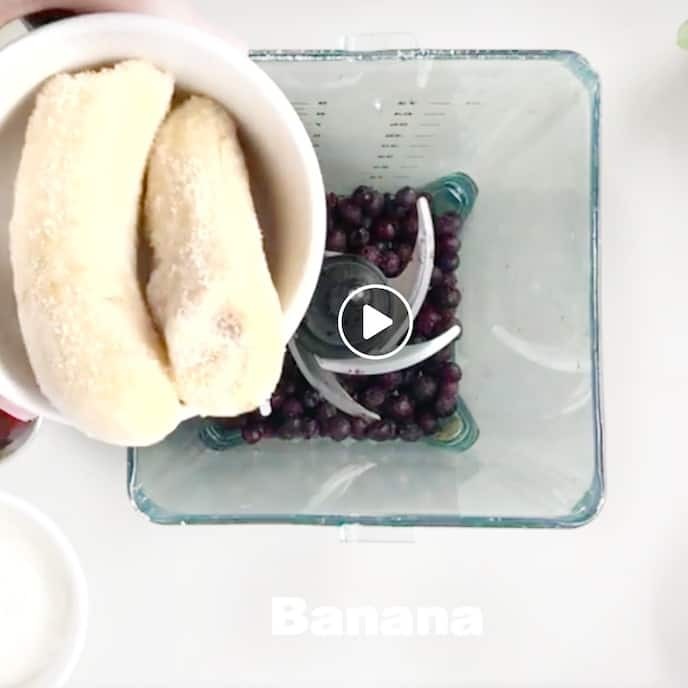 A high fiber smoothie that your kids will love. Using frozen fruit in smoothies helps with texture and taste because you don’t need to add ice. When you have bananas turning brown on your counter, don’t throw them out. Peel them and put them in a ziplock bag. When you have spinach that needs to be used in your fridge, add it to individual sized ziplock bags, squeeze the air out, and freeze. Looking For Help With Your Picky Eater? These simple tips will help bring peace to mealtime & enjoyment back to family meals. This looks delicious! 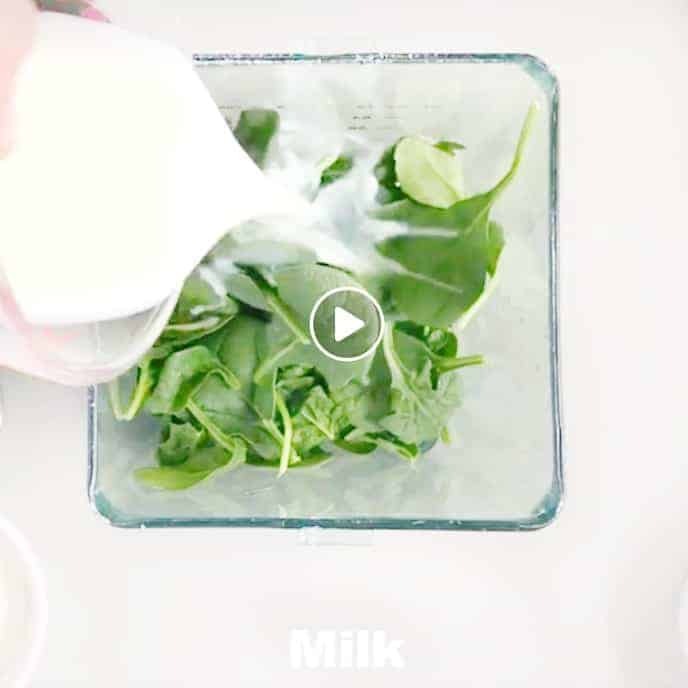 Making my morning smoothie is saving me so much time, can’t wait to try this recipe! Ooooh I just tried this and it got rave reviews from my kids! I’m not gonna lie, I had my doubts about the spinach, but you couldn’t taste it at all. Such a great way to work in some greens without kids noticing! Looks yummy. What a delicious smoothie and great way to get in those fruits/veggies (and fiber) into a kids’ diet. My girls would love this! A keeper for sure. When I made it it looked like so little for the two servings, that I ate the whole thing. I also don’t like 1% milk and used skim milk instead. Would that change how the amount of the smoothie turned out? Yes I enjoyed it a ton. Having it again this morning, love love love that the spinach isn’t super noticeable. I’m always really hungry in the mornings and not real hungry at lunch so I drink the whole thing. I am so glad to hear this, Marie! Thank you for sharing!! So easy to make and tastes great!